The image above is one that we published back in 2004, and is one of the most important progressions in the history of landfill in the UK. It was a webpage in itself and rendered in efficient html code as was necessary in those days, to provide a reasonable download speed. We have now converted it into one single image, and of course nowadays these are called “infographic” images. It shows how the concept of the current EU landfill lining requirements for MSW and commercial/industrial landfills evolved, and as an illustration, is probably unique in its treatment of this subject. Stage 1 was current in the UK from the 1970’s until about 1987. Throughout this period landfills were being progressively better controlled, and were getting larger, so their potential impact on the surrounding water environment was growing. Before this time landfills had been smaller and tended to contain much less biodegradable (organic matter), with the result that they were substantially aerobic, and the degradable matter composted, rather than fermented anaerobically as it does not in modern sanitary landfills. 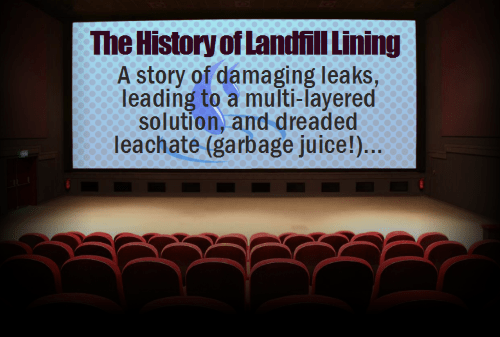 The response in those days was to try to make new landfills less dangerous to the surrounding environment by applying what was called the dilute and disperse principle. Part of that idea was that if an aerobic biological filter was constructed or (in the form of suitable granular sub-soils) was left in place below an un-lined landfill no more than 1 or 2 metres thick, they would be able to act as aerobic biological filters, and the groundwater below would not be harmed. Unfortunately, the idea was quoted by the less reputable companies as having been used in their “landfill design” when in reality such biological filters would only work if carefully designed by biological treatment experts. 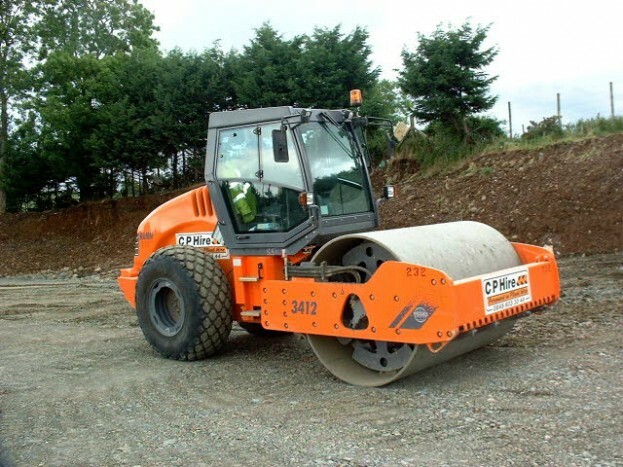 Not unsurprisingly the dilute and disperse concept became quite rapidly discredited, and became known as “dilute and pollute” instead, and the result was the adoption of single liners which were either compacted clay, or welded HDPE, but not both. 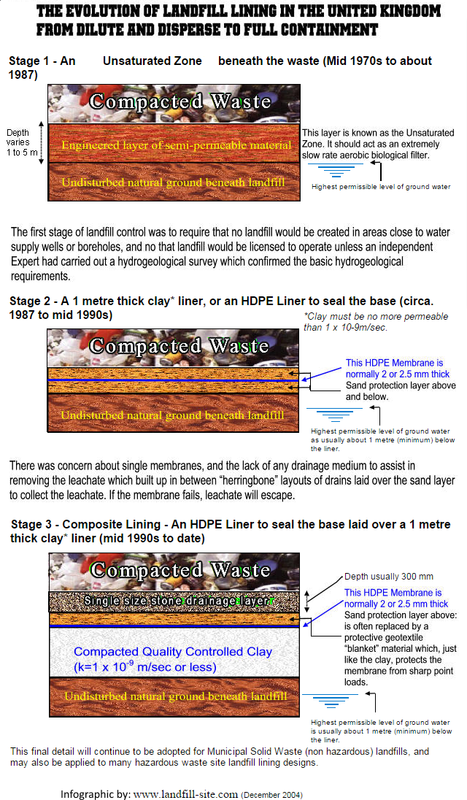 Failures of both types, over time, and especially the migration of Landfill Gas laterally through clay wall linings resulted in the adoption of “composite landfill linings” which has both a clay liner and an HDPE membrane above it. This philosophy was then taken through into the EU Landfill Directive. 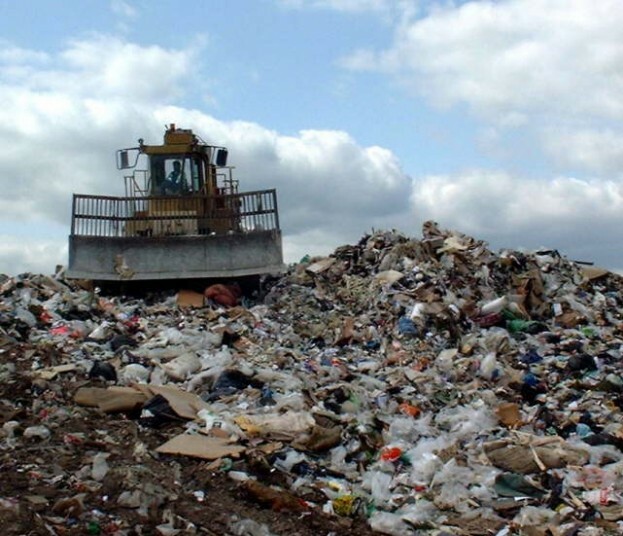 Lining landfill sites results in the “garbage juice” (leachate) bring collected and then it has to be disposed of without causing pollution. Slovenia has been developing detailed implementation of landfill lining in Slovenia, we were been chosen for the contractor in charge of the execution of the project “Regional waste management centre”. Our responsibilities within the project CEROZ framework included planning, construction, purchase of equipment, a test run of the facility and its handing over to the investor within the set deadline.